On a rainy afternoon in mid-November Rueben Thomas stands outside the offices of Teechuktl Mental Health on Port Alberni’s Third Avenue, holding a sign he’s just made for the camera. This fall the National Inquiry into Missing and Murdered Indigenous Women and Girls continued with hearings at specific locations across the country. With a “tropical” rainstorm impending, Tseshaht First Nation activated an emergency response plan to prevent the sort of damage incurred in recent years. Emergency Management BC has issued a warning for flooding in the Alberni Valley, a recurring situation that has once again put residents on the Tseshaht reserve at risk. The Tseshaht are waiting to see how Parks Canada handles the cleanup of thousands of fish farm feed bags that were discovered in the Broken Group Islands this month. A forum on how Canada’s universities can better serve its indigenous peoples is coming to Vancouver Island in 2018. More effective training is needed to help prepare police officers for the cultural complexities of First Nations communities, according to the leaders of Nuu-chah-nulth nations. Two decades ago when Greg Louie was running Ahousaht’s Maaqtusiis school, it became clear the existing building could no longer house the growing number of the First Nation’s youth. After moving services to its new location in July, the Nuu-chah-nulth Tribal Council’s Teechuktl department held the official opening of its location on Port Alberni’s Third Avenue Thursday. The Nuu-chah-nulth Employment and Training Program is offering up another round of education upgrading for adults. 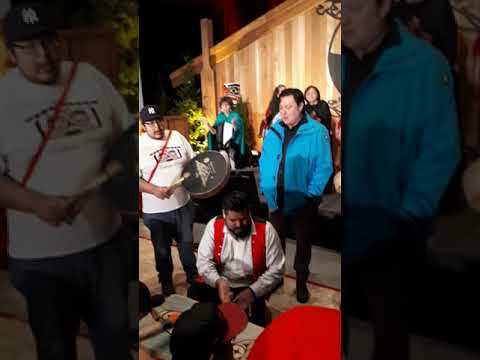 Tla-o-qui-aht elder Barney Williams Jr. has become the latest Nuu-chah-nulth-aht to receive an honorary doctorate degree from the University of Victoria. The online world is about to open up for Ahousaht residents, as the First Nation looks to have high-speed Internet service by early December. After publishing three science textbooks, a series of articles, opinion pieces for newspapers and scholarly journals, Karen Charleson has made the giant leap to published novelist. Veterans Affairs Canada is honouring aboriginal men and women in uniform for their contributions and sacrifices. Nov. 8 is National Aboriginal Veterans Day. The NTC Teechuktl Intergenerational Healing Gathering is drawing hundreds of residential school survivors and their families. November is diabetes awareness month. It’s a major issue for most Canadians, but is of even greater concern for First Nations people, especially regarding type 2 diabetes. On Oct. 26, Usma and the Ministry of Children and Family Development held their annual Caregiver Appreciation lunch at Alberni Golf Club.